The daily commute to the office, trips to dance recitals, hauling the team during soccer season or family vacations: every day, you climb into your cars, vans, SUV’s and trucks. Regardless of the reason or the length of the trip, no matter what the destination, you assume some very serious risks every time you sit behind the wheel. No matter how skilled a driver you might be, you can’t account for the actions of others, not to mention adverse weather conditions and other ‘surprises’. While the state of Ohio only requires individuals to carry liability car insurance, this type of policy is hardly considered adequate for most drivers. The right auto insurance policy provides much more than liability protection and accident-related coverage for your car. Comprehensive coverage takes care of certain non-accident related damages to your car, such as theft, vandalism and hitting deer. Uninsured and underinsured coverage can pay for damages caused by an accident with a driver who doesn’t have insurance or doesn’t carry enough insurance to pay for your damages. Additional coverages include towing and labor reimbursement as well as rental car reimbursement. With our network of auto insurance providers, Dayton Associated can design a coverage plan that makes sense for your entire family. 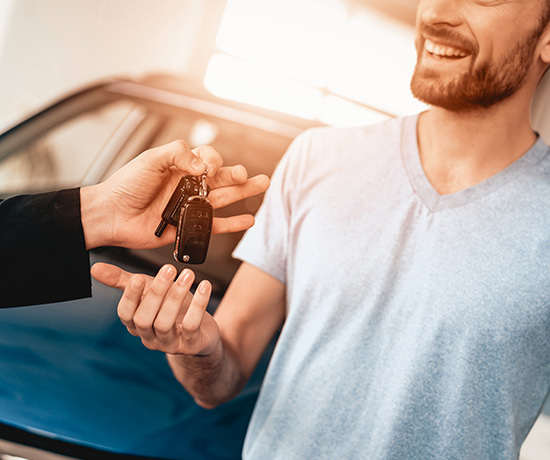 Whether your household is comprised of experienced adult drivers or includes newly-licensed teens, we match the right company with the right household. In addition, we can suggest companies that offer specific discounts for which you may qualify. From multi-policy discounts to multi-car savings, we tailor coverage options that meet your needs. With Dayton Associated, choosing the right coverage is easy…because we have decades of experience making it easier. From deciding on deductibles to selecting optional coverages to meet your needs, our team walks you through the entire process. We make sure you’re adequately covered, and we also make sure it’s the most cost-effective option for you. As your needs change, our proactive staff is there for you. From adding and deleting vehicles to assisting with claims, our team works hard to provide the kind of service that makes you feel appreciated. At Dayton Associated, your business is appreciated, and our appreciation is reflected in the personal service we provide. While automobile insurance provides a set limit of liability coverage, losses can easily exceed policy limits when they involve personal injuries. One of the most cost-effective ways to ensure you have the liability protection you need is by securing a liability umbrella policy. This policy offers additional liability protection above the limits of your standard auto policy. This coverage is particularly important for individuals with considerable assets who are often targets of opportunistic litigators. It’s not just insurance for your car: Dayton Associated provides coverage for all the vehicles in your home. Motorcycles, boats, RV’s…if you drive it, we make sure it’s protected.